We are very pleased to announce that all the Instructors at Diamond Drive are Fully Qualified, have been CRB checked by the Driving Standards Agency and have also signed the Codes of Conduct . You may not be aware but other Driving Schools may use Trainee Driving Instructors who are not actually fully qualified. This means they haven’t completed all the qualifying exams. If your Instructor is Fully qualified then they will have to display The Green Licence (Shown Above) in the Bottom left hand side of the Windscreen. 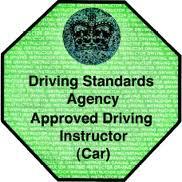 If the Instructor is Fully qualified it will be green in colour. On the reverse side of the Licence a photo of the Instuctor will be shown. Please ask to inspect this licence before your first lesson for your own safety. If the Instructor is not fully Qualified then their Certificate will still need to be displayed in the same place but it will be a Pink Triangle which means that they are still a trainee. Many Instructors will not readily admit to being a Trainee as the Driving Schools normally still charge the same lesson price as if you were being trained by someone who is fully qualified. Many People think this is unfair. Another problem that I frequently come across is, if your instructor is a trainee, their licences normally only lasts for 6 months. If they fail the final qualifying exam they will then have to give up teaching immediately. This could leave you having to find yourself another Instructor sometimes just days before booked tests. 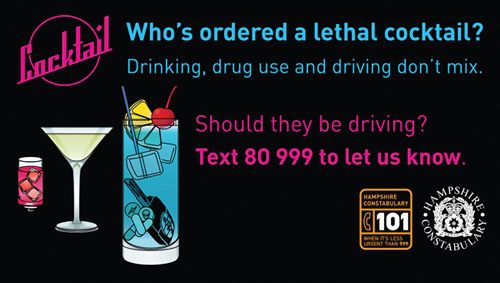 If there is not any kind of Licence displayed by your Instructor, be very careful as they may not be qualified at all and they could be breakingthe law. Multi-Role Vehicle Test. He also spent hours learning new skills with the Class1 Traffic Police drivers from the Roads Policing Unit. He has a Pass Rate which is well above the National average currently running at around 75% for the year. Most of his pupils pass their test at the first attempt. He teaches in a 2017 New Shape Ford Fiesta Zetec 1litre Eco Boost with air-conditioning, rear reversing camera, hands free technology and numerous other safety features including dual controls. Russ covers Totton, Cadnam, Ashurst, Lyndhurst, Marchwood, Shirley and Millbrook. Russ works from 7.30 am - 7.00 pm on Monday. 9.30am to 2.30pm then 5pm to 7pm on Tuesday. 9.30am to 7.00pm on Wednesday. 9.30am to 2.00pm on Friday. He can also do the occasional Saturday morning. He is a very experienced Driving Instructor with a calm and easy going nature. Russ is also Pass Plus registered. When he is not teaching he enjoys spending time with his daughter Amelia, swimming and going to the Gym. He is also a keen Saints supporter. His responsibilities include updating the Diamond Drive Website, the Mobile Website and the promotional side of the company. Russ enjoys being a Driving Instructor because "Passing the driving test changes peoples lives completely". To view a list of people that have recently passed their tests with Russ Click Here or go to the 'Our Successes ' page. To read all of his reviews Click Here or visit Customer Reviews on the home page.